Mumm was founded in 1827, and its well-known Cordon Rouge was launched by 1875, decorated with the now-famous red ribbon of the Legion of Honor. The firm owns 540 acres of vineyards throughout the Champagne region, and is the largest company in Reims. 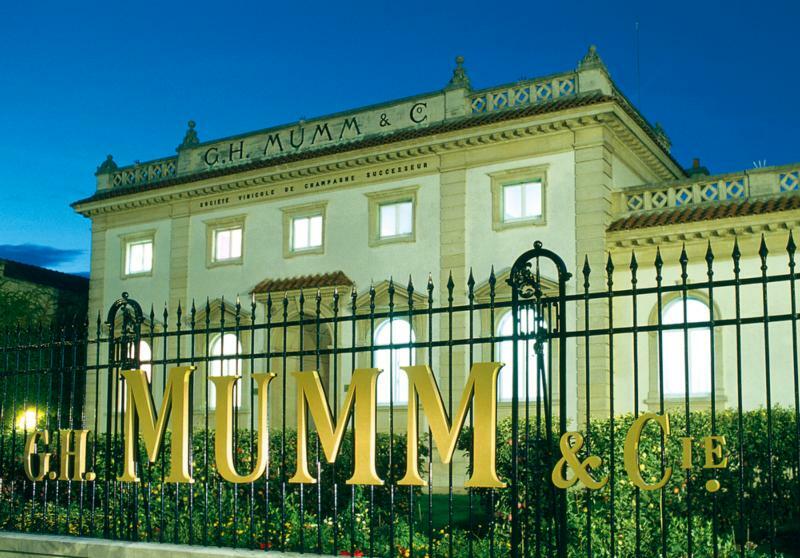 Since its founding, the house of Mumm has been regarded as one of the most famous names in Champagne. Its Champagnes are crafted from a palette of prestigious crus with varied flavors that offer each cuvée finesse, elegance and freshness. 80% of production undergoes remuage in gyropalettes, but the cuveés de prestige are still handled manually. Mumm is the second-largest selling Champagne in the United States.